Tungstate is an oxyanion that has biological similarities to vanadate. In recent years, a number of studies have shown the antidiabetic effects of oral tungstate in animal models of diabetes. However, because of the tissue accumulation and potential toxicity derived from chronic administration of vanadium and tungsten compounds, the pharmacological use of vanadate or tungstate in the treatment of diabetes is not necessarily exempt from concern. In the context of a potential use in the treatment of human diabetes mellitus, the most relevant toxic effects of vanadium derivatives are reviewed and compared with those reported for tungsten. 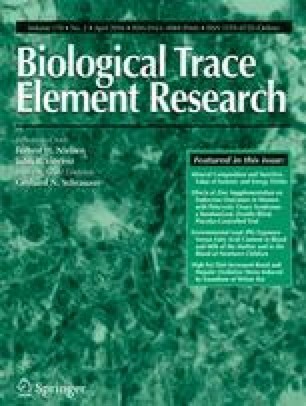 Hematological and biochemical alterations, loss of body weight, nephrotoxicity, immunotoxicity, reproductive and developmental toxicity, and behavioral toxicity have been reported to occur following exposure to vanadium compounds. Moreover, vanadium also has a mitogenic activity affecting the distribution of chromosomes during mitosis and inducing aneuploidyrelated end points. In contrast to vanadate, studies about the toxic effects of tungstate are very scant. Early investigations in cats, rabbits, dogs, mice, and rats showed that tungstate was less toxic than vanadate when given intravenously. Although in vitro investigations showed a direct effect of tungstate on the embryo and fetus of mice at concentrations similar to those causing effects in vivo, information on the potential cellular toxicity of tungstate is particularly scarce. Taking into account the recent interest of tungstate as a new potential oral antidiabetic agent, an exhaustive evaluation of its toxicity in mammals is clearly necessary.